In our era of history with the lack of emphasis on truth the Church must step forward and not bend to the Post-modern relativism of our times. Therefore we confess those truths and historical beliefs to which the church has always held. Christian unity is not naive sentimentalism but is founded on God’s revealed truth. These beliefs are most clearly contained in the four ecumenical creeds: the Apostles, the Nicene, the Chalcedonian and the Athanasian. Because we find our roots in the Protestant Reformation of the 16th and 17th centuries, Providence also affirms the summary of doctrine contained in the Westminster and London Confessions. 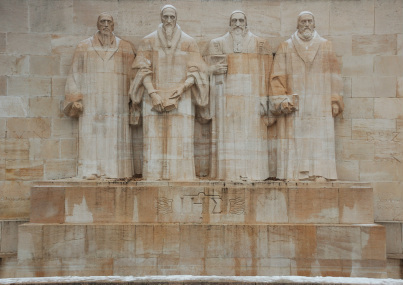 A more consice summary of Providence's beliefs may be found in the five Solas of the Reformation.